Hinge is a contemporary music ensemble based in Boston comprised of saxophonist Philipp Stäudlin, percussionist Matt Sharrock, pianist Keith Kirchoff, and electric guitarist Dan VanHassel. Lying somewhere between a chamber ensemble and a rock band, Hinge presents cutting-edge programs combining uncompromising contemporary music, seamless multimedia integration, and innovative arrangements of rock and pop songs. Their inaugural season of 2018-19 includes performances at Mise-En Place in Brooklyn, Times Two Concert Series in Boston, Framingham State University, and a residency with the music department at the Worcester Polytechnic Institute. Their repertoire includes works by Philippe Hurel, Louis Andriessen, and Chaya Czernowin, along with arrangements of songs by Bjork and Meshuggah. Pianist Keith Kirchoff has toured extensively throughout the United States as well as major cities throughout Italy, New Zealand, Australia, England, Canada, Belgium, Mexico, China, and The Netherlands. Throughout his career, Kirchoff has premiered well over 100 new works and commissioned several dozen. As a strong supporter of modern music, he has worked closely with many prominent composers including Christian Wolff, Frederic Rzewski, and Louis Andriessen. He has served as Vice President of SEAMUS and is the founder and Artistic Director of Original Gravity, a Boston-based concert series that features the music of local composers and pairs that music with locally brewed beer. He co-founded the SPLICE Institute, a weeklong program for performers and composers working with electronics, and regularly tours and performs with the SPLICE Ensemble. Percussionist Matt Sharrock has premiered over 75 new works and tours extensively around the world as half of the bass clarinet/marimba duo Transient Canvas. 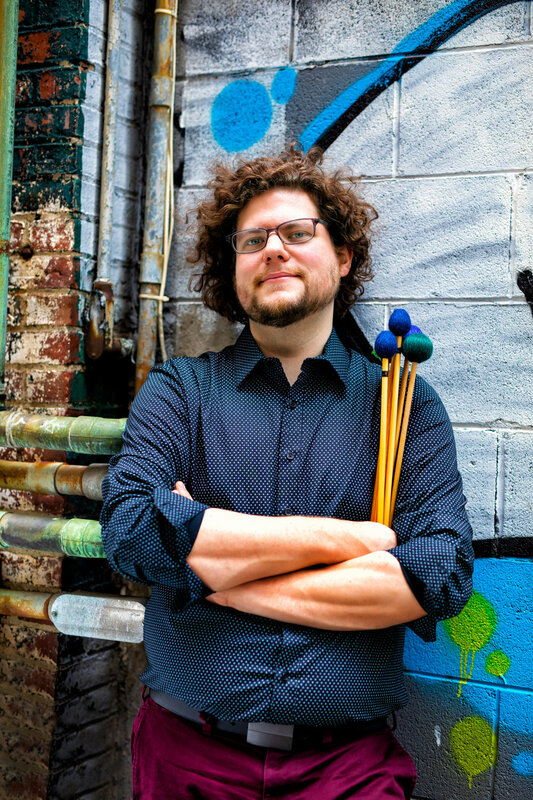 Matt is also a member of the Boston Percussion Group and has performed with the Boston Modern Orchestra Project, Portland Symphony Orchestra, Boston Landmarks Orchestra, and the New Hampshire Music Festival. An advocate for new music, Matt currently serves as Music Director and conductor for the Equilibrium Ensemble, a new music sinfonietta in residence with the Equilibrium Concert Series. He has performed with many of Boston's premier chamber ensembles, including the Chameleon Arts Ensemble, Sound Icon, Boston Musica Viva, Alea III, the Lydian String Quartet, and Lorelei. In addition to live performances, Matt has recorded as a soloist, chamber, and orchestra musician on BMOP/sound, Navona, New Focus Recordings, and Ravello Records. Saxophonist Philipp A. Stäudlin has performed hundreds of concerts and premiered more than 100 works throughout North America, Europe, and Japan. A native of Friedrichshafen, Germany, Stäudlin has appeared as a soloist with the Sinfonieorchester Basel, Sound Icon, Ensemble White Rabbit, Niederrheinische Sinfoniker, Callithumpian Consort, Bielefelder Philharmoniker, Harvard-Radcliffe Collegium Musicum, Tufts University Orchestra, and The Providence Singers. Stäudlin has also performed with the Harvard Group for New Music, Equilibrium Ensemble, ECCE, Talea Ensemble, Steamboat Switzerland, Dinosaur Annex, Ludovico Ensemble, IGNM Basel, Alea III, Back Bay Choral, and many others. He has recordings available on the New World, Tzadik, Albany, Innova, Suspicious Motives, New Focus, Navona, Newport Classics, Enja, and Ars Musici labels. He teaches saxophone at The Boston Conservatory at Berklee in both the standard degree and contemporary music programs, and is also on the applied music faculty at Tufts University and the Massachusetts Institute of Technology (MIT). 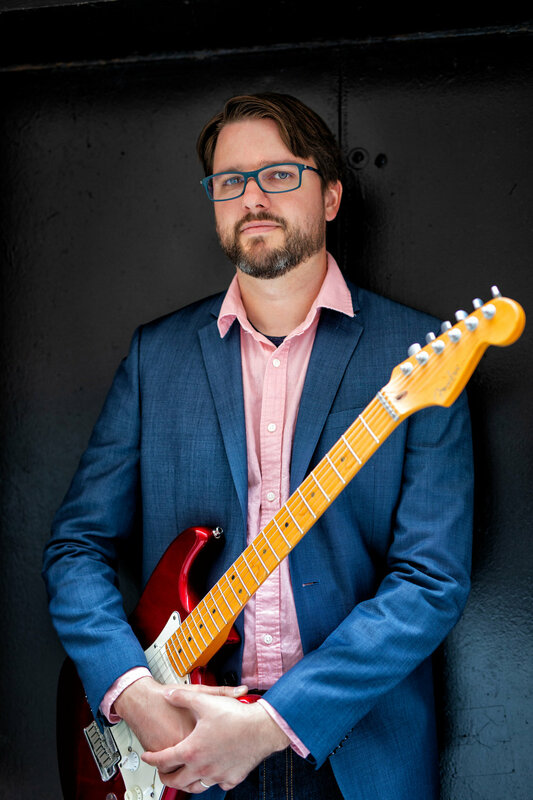 Electric guitarist and composer Dan VanHassel was a founding member and artistic director of San Francisco new music ensemble Wild Rumpus through 2016, which commissioned over 30 new works. As a guitarist he has appeared as a soloist with the UC Santa Cruz Wind Ensemble, the UC Berkeley Symphony, and as a featured performer with the Eco Ensemble, Original Gravity Concert Series, and the Callithumpian Ensemble. As a composer, his works have been performed by the Talea Ensemble, Dinosaur Annex, Transient Canvas, Now Hear Ensemble, Empyrean Ensemble, Ignition Duo, Ensemble Pamplemousse and has been featured at the MATA Festival, Bang on a Can Summer Festival, Bowling Green New Music Festival, UC Davis Music and Words Festival, Wellesley Composers Conference, June in Buffalo, Music11 Festival, ICMC, and the SEAMUS National Conference. His work has been recognized by grants from the Boston Foundation, Chamber Music America, the Barlow Endowment, the Johnstone Fund, and New Music USA.